Tons of great summer camp opportunities are available for kids ages 7-16 in Boulder and Denver for 2019. Colorado Cutthroat is Colorado's premier youth ultimate club program, with top players from many different HS teams coming together to represent Colorado in a national tournament in August. Cutthroat players get high level coaching from some of the top coaches in the state, experience top level competition, and get to be teammates with many of their top opponents on other teams! 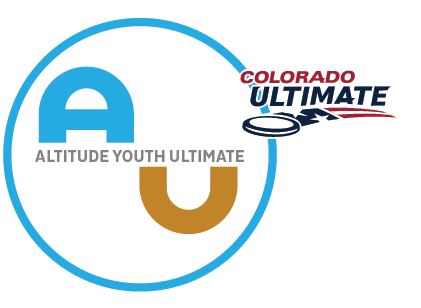 Altitude Youth Ultimate presents the 2019 High School Spring League! What an amazing year! Thanks, AYU family, for helping us make 2018 our best year yet! After all games on Sunday being cancelled due to snow, the 2018 HS Mixed Division Championships concluded on a Thursday night under the lights in Golden, CO! The registrations, league information and USAU Medical Authorization forms have been posted at denveryouthultimate.org. This league has filled up before the registration due date the last 2 years. Ages are 14 to 19. The league is recreational, non-instructional, and co-ed. Six Sunday mornings from 10 to 11AM inf January and February 2019 in a row, two games each session.